Bergers is a classic desert production business that has lived with families in the Baltimore and entire Mid-Atlantic area for several generations. The first bakery was opened by the German immigrant, Henry Berger in 1835 in East Baltimore, and despite its modest roots the business has been able to thrive in the Mid-Atlantic Region. Each of its famously delicious Berger Cookies is, and has been, hand dipped into chocolate since 1835, ready to be wrapped and given to all sorts of Maryland visitors and natives. It is the time-honored, anytime cookie that’s perfect for school lunches, surprise neighborly gifts, or after dinner family treats. It is the treat that will keep your family, and the Baltimore/Maryland family, homespun and delicious. Cookies- You can buy the classic Berger Cookie in the snack pack size which includes two, or the original 15oz package. Gift Cookie Tins- Bergers has assembled six different types of gift tins with differently designed tins to match the holiday spirit. For the winter holidays, they have the Happy Holidays Tin, the Snowflake Tin, the Warn Wishes tin, and the Sledding Time Gift tin. For a romantic occasion there is the Heart Gift Tin, and then the Floral Gift tin for Easter, Mother’s Day, or birthdays. Each one will provide that intimate, personal touch that is cherished by friends and family. Bergers Half Cakes- Bergers Coconut Half Cake is made up of layers of pound cakes spread with vanilla icing and encased with coconut. Bergers Apparel- Show your pride for the tried and true local business. 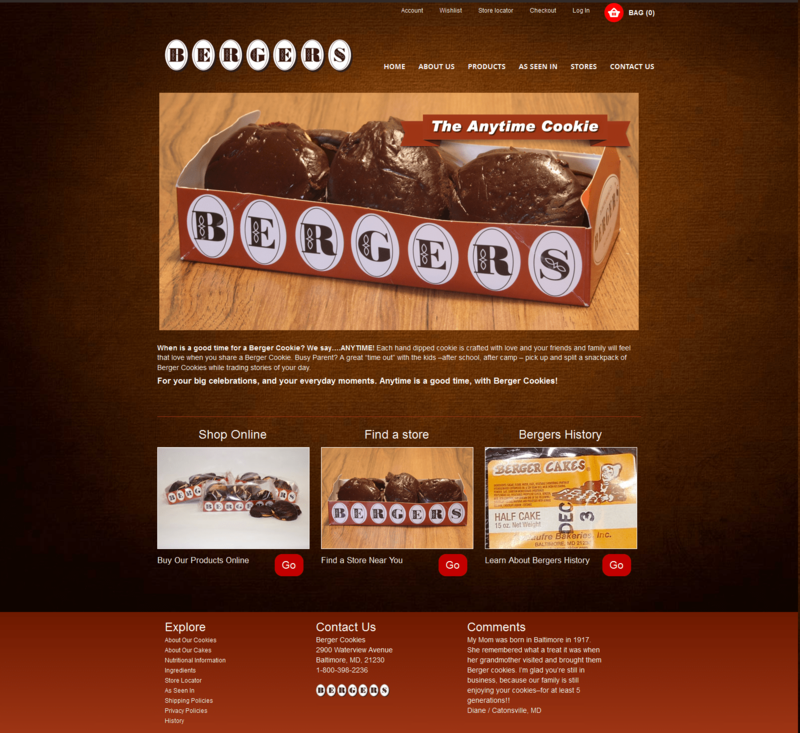 Check out the new website at http://www.bergercookies.com.